We all experience the world and channel in different ways. Some of us are musicians and some of us are painters; some of us can complete complex math problems with ease and others are talented with their hands. I exprience life as an intuitive empath. There is energy all around us, and to many people its stubble or invisible, but not to me. Energy, vibrations, and personal auras are all like a language that gives me a complete perspective on complex issues – though this language is expressed through feeling and knowing rather than through speech. Our past and our futures extend out behind us and before us as waves of energy. I help my clients gain insight that they may not otherwise have been able to learn by studying this energy and the connections and links that it experiences with other energetic bodies. I help my clients make sense of the complexities of the world around them, and guide them to the information they need to make the right decision. The future is full of uncertainty. Making sense of how to make the decisions that will produce the most benefit can be an immense relief. If you have never received a psychic reading before, online psychic email readings are a great way to benefit from my skills as an empath at an affordable rate without having to worry about receiving a cold reading. When it can be tough to articulate a problem over the phone, online psychic email readings are a great way to organize your thoughts and put them together. In many cases, the questions that are put before me are very emotionally charged. When I receive an email with a question for an energy reading, I start by raising my vibration and asking my guides to step forward. Here through focus, I affirm my intention and focus on my client to obtain the initial impressions that will validate a connection has been established. Through a strong focus on each question, the intricacies of the problem become clear, and I automatically type whatever information is received until I feel the reading is complete. This results in very detailed reading that helps my clients understand why circumstances are the way that they are, what decisions will help them reach their desired outcome via a path of least resistance, and how the complexities of the circumstances contribute to any predictions. The results of my online psychic email readings are reached through the feeling and knowing of the energy that surrounds us all. Responses average about three to four paragraphs of detailed information which is roughly a page in length. Once a time has been booked, responses are prompt, and having a written copy to return to often can help clients internalize the solutions to their problems. Online psychic email readings are also a great choice for busy people. It can be tough to commit to a booking time for online psychic phone readings, and an email option is an elegant, equally effective solution. If there is something persistent in your life or a looming challenge that seems out of your reach, there has never been a better time to try an online psychic email reading. 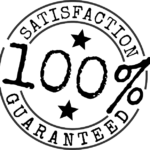 I offer a satisfaction money back guarantee to ensure that when we have concluded, you are nothing less than inspired. No topic is too serious, and there is no topic that couldn’t benefit from a little guidance.